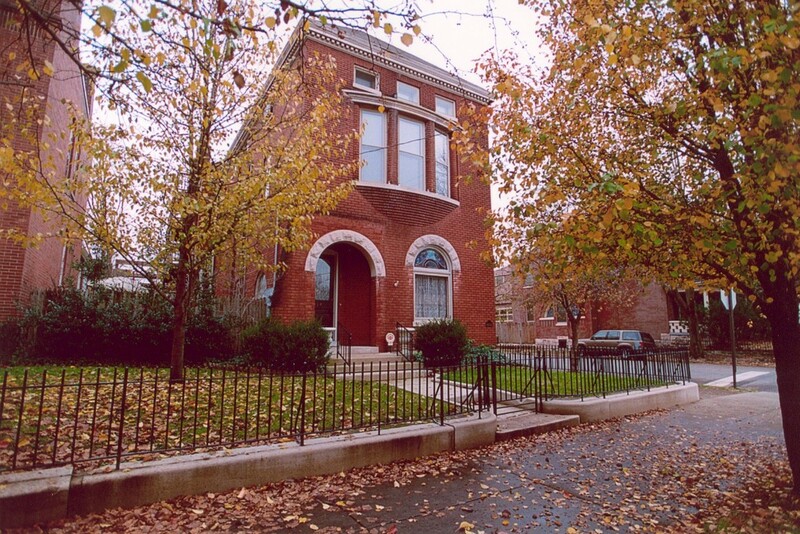 A spacious mansion, built in 1886, on West Saint Catherine, one of Old Louisville’s premier avenues. 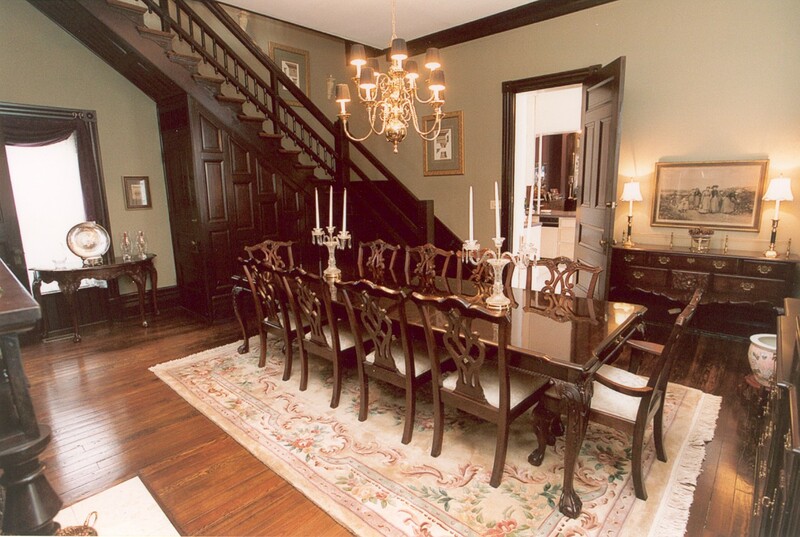 The grand old mansion restored. This top-to-bottom restoration included a new roof, rebuilt box gutters, restoration of the exterior trim and completely rebuilt windows. In addition to the work on the building, the wrought iron fence, the limestone curb and the sidewalk were also completely restored. The hand rail, flooring and plaster was all restored. 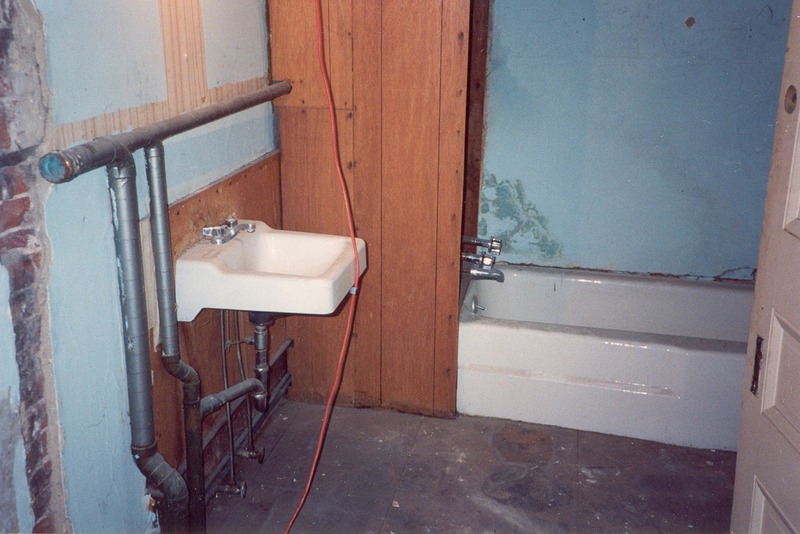 One of the bathroom during demo. 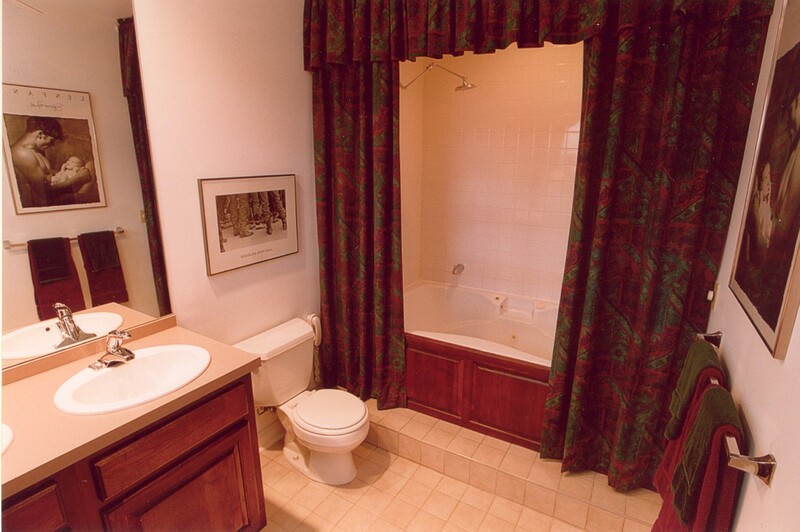 Complete demolition and rebuilt as a comfortable, modern bathroom. 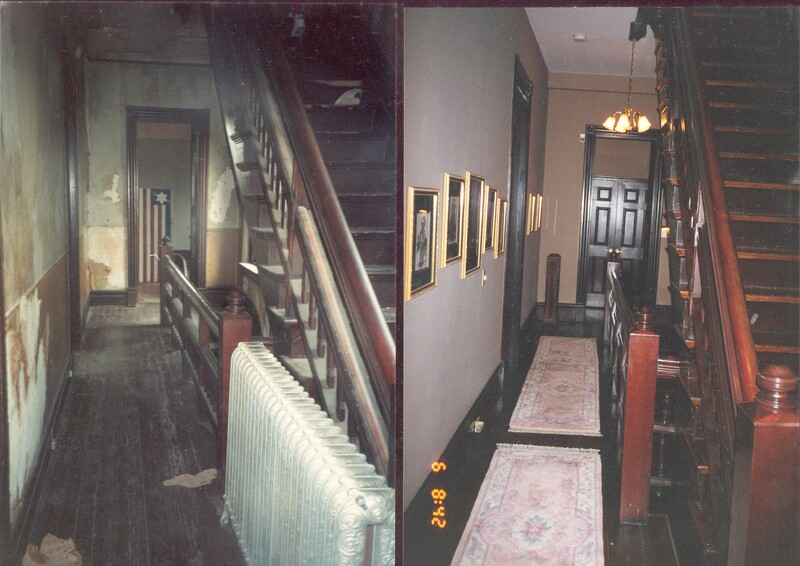 The floor was brought back into level, the staircase was rebuilt and re-anchored to the wall,the floors were refinished and the plaster walls were restored. 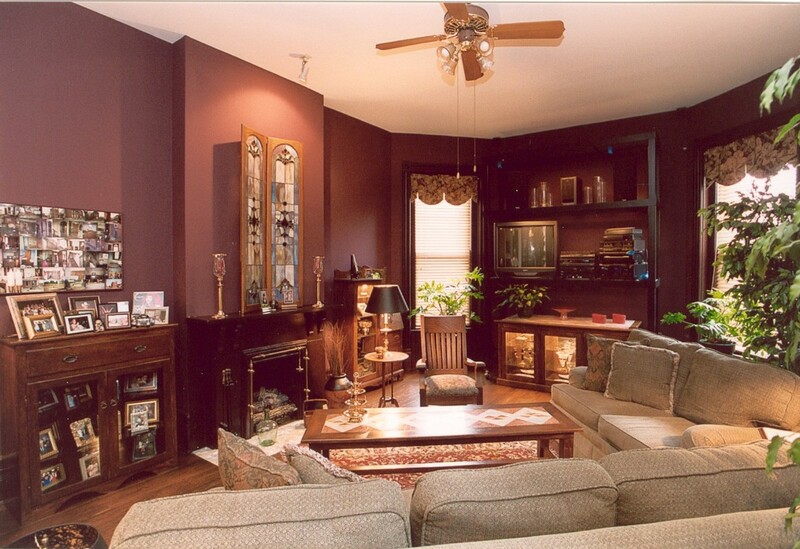 This space was originally a parlor. 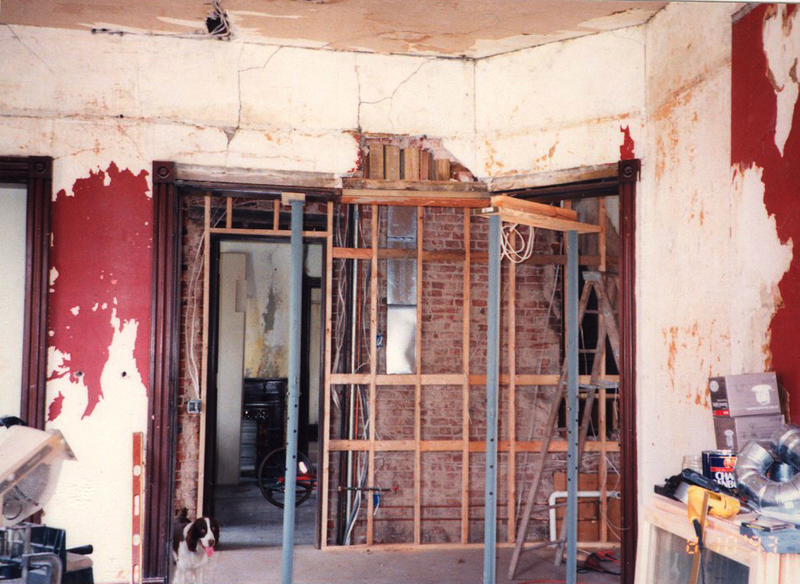 The wall that originally divided this room from the kitchen was removed, creating a modern open-concept space. 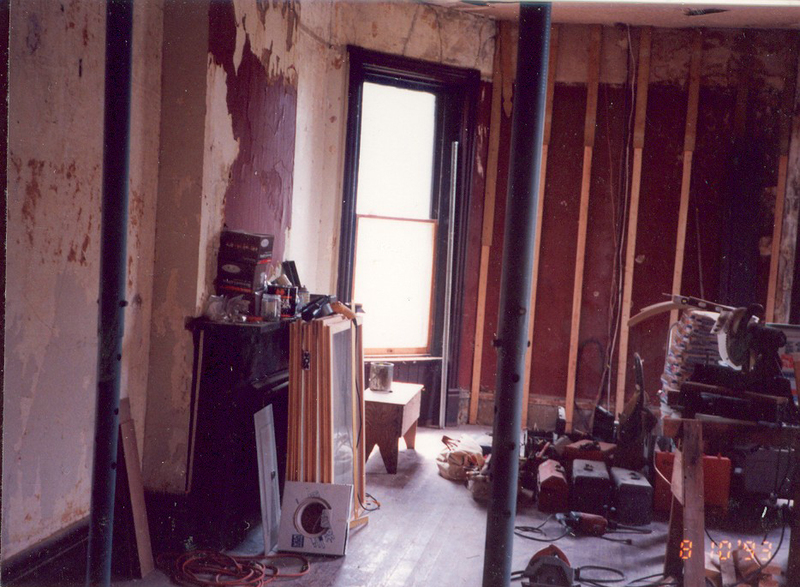 In addition to the restoration of the floor, walls and ceiling, the fireplace was converted to a fully-functional gas fireplace. 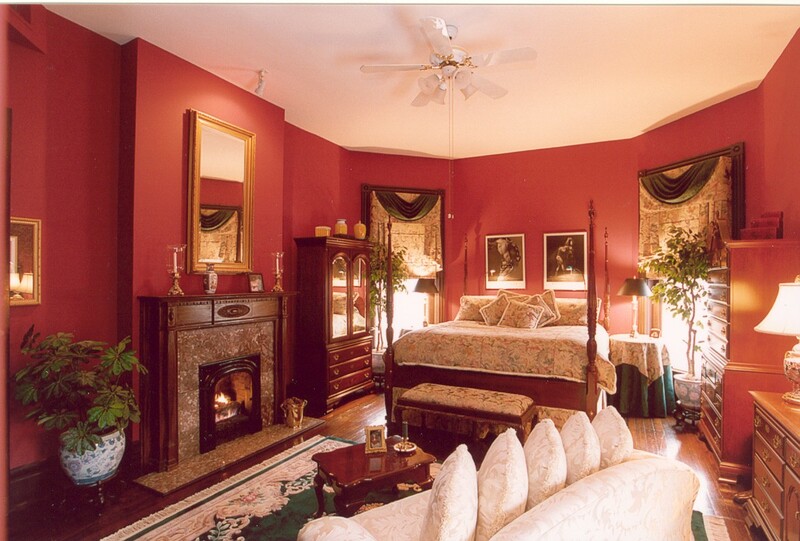 The comfortable, delightful master suite. 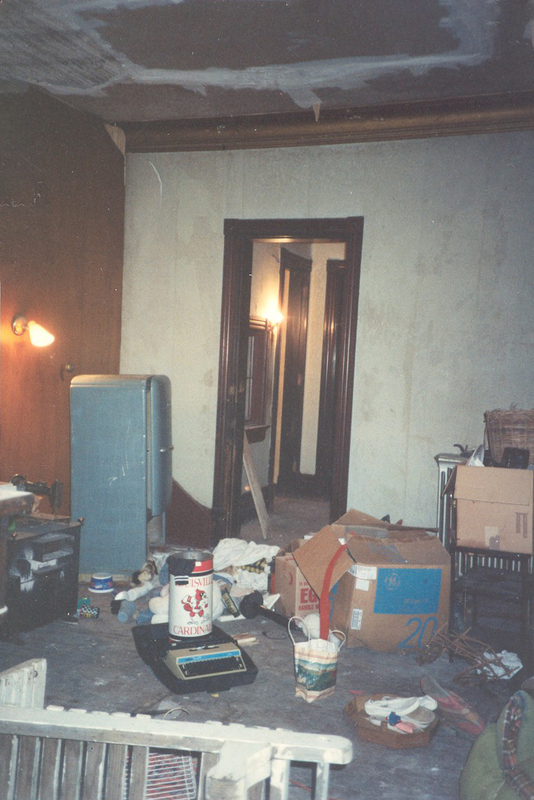 The original kitchen had deteriorated into an unbelievable mess. 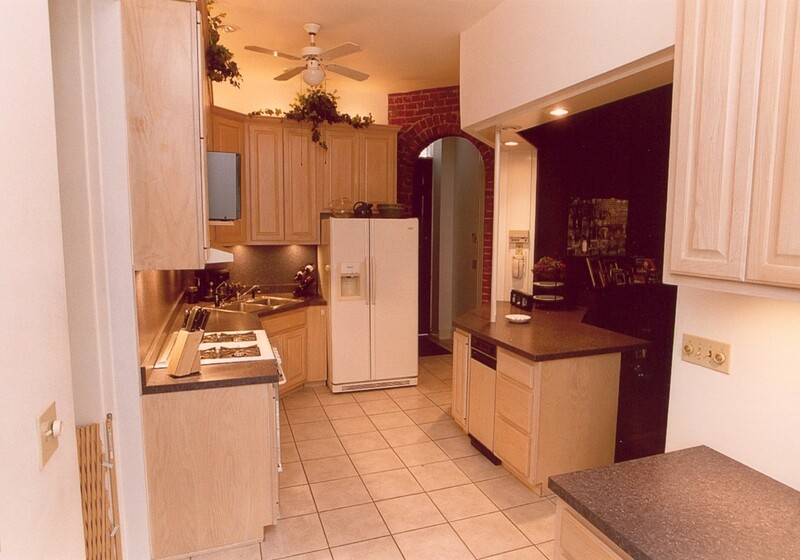 Completely rebuilt, this custom kitchen hickory cabinets and high-end GE profile appliances, is a cook’s dream. 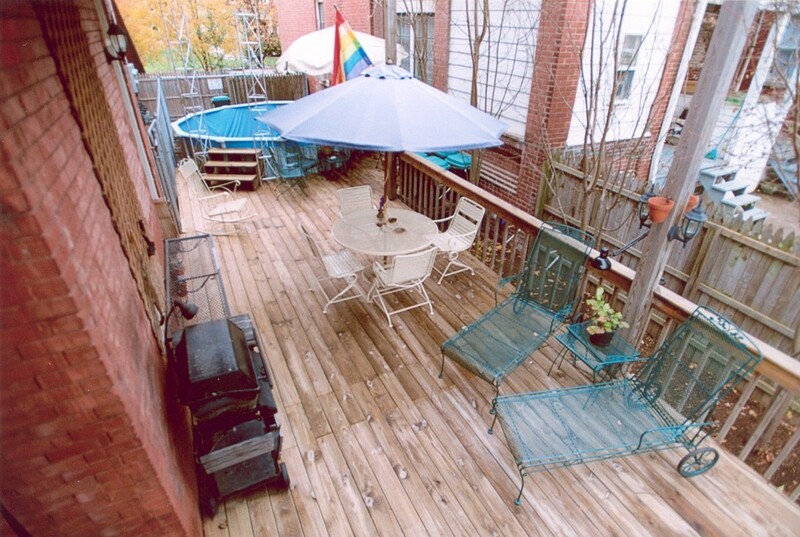 The outdoor living space has a grill and a sixteen-foot, 3-foot-deep above-ground swimming pool.